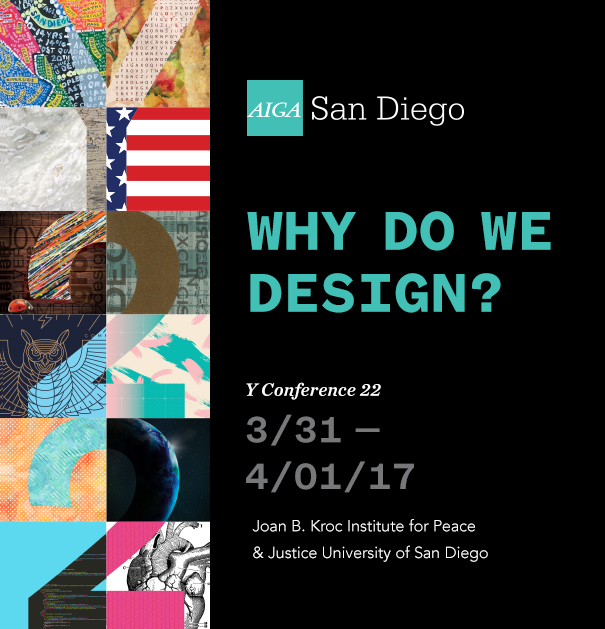 22 years ago a group of creatives in San Diego asked the question “Why do we design?” and from that discussion, the AIGA San Diego Y-Conference was born. Since 1996, the AIGA has invited leading thinkers, doers and makers from creative communities around the world to San Diego to answer that question and share their insight. From the beginning, strong support from community affiliates was essential to make this event a success. Neyenesch Printers is proud of our 22 year partnership with the AIGA and of the small role we have played in making the San Diego Y-Conference one of the premier, local design conferences in the country. We are committed to supporting the creative community of San Diego. Y-22 Conference is just around the corner with an outstanding line-up of speakers and Thinkshops. This is an excellent opportunity to meet, learn from and share with the San Diego design community.